Familiarize yourself with the diagram below to understand the test environment and how it compares to your network setup. The new features in PAN-OS 8.0 have you covered. Identify the ones you want to test by reviewing Palo Alto Networks' New Features Guide. Here are two examples of the helpful resources available there to prepare you for your time in the Fuel Virtual Test Lab! Plan Ahead. Remember . . .
Time flies when you are having fun—so, focus on a goal that fits your needs in order to maximize your 4-hour Fuel Virtual Test Lab experience. Once you are in the lab environment, no step-by-step instructions will be provided; you'll simply be free to try out different features of Palo Alto Networks' Next-Generation Firewall. Check out the Fuel Virtual Test Lab Quick Start Guide to get started! Not ready to jump in alone? If you are not ready for a self-paced lab environment, Palo Alto Networks has an instructor-led lesson you might you might want to try. 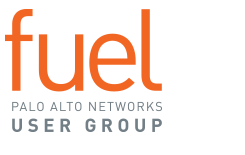 If you are not familiar with the Palo Alto Networks Next-Generation Security Platform, we recommend you attend the complimentary two-hour Virtual Ultimate Test Drive before entering the Fuel Virtual Test Lab.